Want an accurate moving estimate? 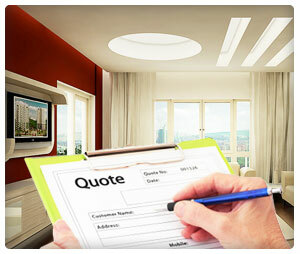 Over-the-phone or online moving quotes are great for giving you an idea of how much moving will cost. And sometimes they can lead you to a good moving company. However, they are not guaranteed accurate, because the moving company usually doesn’t have enough information. Therefore, your actual price tag can end up being considerably more than the estimate. The best way to get a dependable estimate is to have the moving company come to your home to document what needs to be moved. With in-house moving estimates, the moving company sends a surveyor to your home. The surveyor then makes a list of all of your possessions, big and small, so the moving company knows exactly what you need to move and how to do it. After that, the company should have a good idea of exactly how much your move will cost, and they’ll be able to give you an accurate estimate. If you like the in-house moving estimate, then you should try to make it a binding price in your moving contract. Be wary of moving based solely on a moving quote. It could be a moving scam, or the moving company might end up charging you hidden fees.